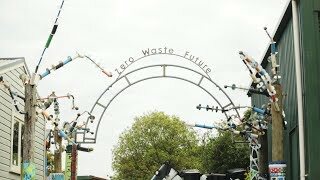 Nicola visits the amazing local refuse station to discuss the importance of recycling and repurposing all products (STOP BUYING NEW THINGS!) as well as the station's goal of achieving zero waste to landfill by 2040. This is such an amazing kaupapa/way to live so we hope that viewers endeavour to reduce their waste and recycle more! For more info, visit the Auckland Council website here.